Garages were originally designed to be used for storing cars, although with most people this isn’t the case anymore. Garages are essentially free storage. You don’t need to pay a weekly or monthly fee to store your belongings in your own garage. Having a garage attached to the side of your house is also incredibly convenient. As if it’s the middle of the night and you need something you’ve stored away, you can just pop out to the garage. Even while wearing pyjamas! Garages nowadays are a very valuable space and can increase the value of your home while decreasing your car insurance. Insurance providers consider garages a safer place to keep your car than on the driveway. If you’re not using your garage for storing a car then you could be paying much more for insurance than you first thought. It can be very tempting to just throw everything into your garage without taking the time to sort through it all. If you don’t organise everything it can become a bit of a nightmare, especially if you’re planning to move out. Many garages aren’t climate controlled, nor do they have much insulation. This can mean your garage will continually go from cold to hot each time the weather changes. Although you may have a lock on your garage door, they are not always completely secure. If your home is located on a busy road then the risk of your garage being broken into is increased. 24/7 access is something that many self-storage locations provide; it allows you to have access to your storage unit every day throughout the year. Although storage units are typically accessible throughout the year, they are also secure. With state-of-the-art security systems, including CCTV and individual combinations for each unit, your belongings couldn’t be safer. Storage units are the perfect solution if you have decided to redecorate and work on your house. You are able to make more space in your home and also keep your belongings safe from getting damaged by paint or anything else. 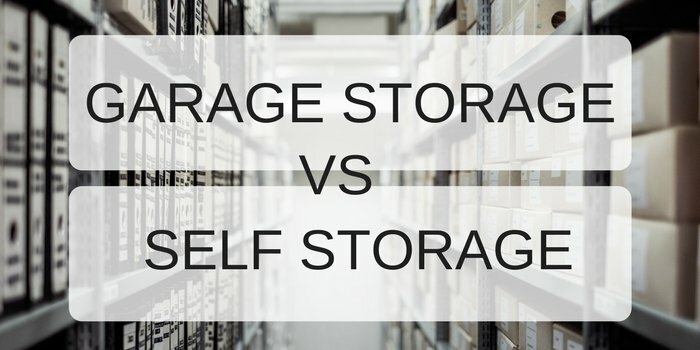 Unlike your garage, self-storage units are not right next to your house, unless you’re lucky and live right next to a self-storage facility. Although this is slightly inconvenient, it does mean that you’ll seriously consider what you are putting into storage and whether you really need it or not. Even though storage units aren’t expensive they still aren’t free. This could force you to have a good sort through all of your belongings that you’re planning on storing to allow you to free up more space in your home. This makes storage units the ideal solution for those who are in the process of moving house or redecorating their home.